This is just so it’s easier to see what my bag looks like and roughly how much I can fit in there. My bag is 60ml and lies perfectly in line with your back with extra cushioned pads so it doesn’t ever feel uncomfortable. It has pockets for everything which is really helpful, especially if you are an organised maniac. I have used this bag for my travels since 2015 and has lasted in a good condition since. There are parts which have started to wear away but it definitely won’t affect the bags overall state for a long while. I will work my way from the bottom to the top in guiding you to where I keep my things. This compartment I will always put a pair of shoes in, along with a black bag to put away dirty laundry and not let it mix with my fresh clothes. I start off by putting my cables bag in the bottom until my laundry bag starts filling up and have to move it elsewhere. I will also have a small bag to take out with me for evenings and/or day trips. Sometimes it helps to put my shoes inside this bag just to save the hassle of trying to close the bag. I will always keep my first aid kit and an umbrella (which I never use) in one side. This is a sign that I need to improve my first aid kit; it should not be able to fit in that side pocket! The other side I will slide in some shower slippers (flip flops which are easily able to dry after a shower). Sometimes I leave this empty or if I bring some more flip flips for the other side pocket then I will keep my first aid kit in here; it varies each time really. Obviously this is where all my clothes go. I have started rolling up all my clothes, as shown below, as it saves soooo much space. You can squeeze so many clothes down to make it look like you have hardly any clothes in there when you actually already have more than half of them in there. During the trip, if I buy any big souvenirs or fragile things I will pack them within these clothes so they are stable and won’t get damaged from all the moving about between places. Because there is so much space leftover after all my clothes are packed in, I am able to fit my wash bag in which I have recently bought in a big size. This means I can fit all of my wash stuff in one place rather than having about 3 different small bags. This is where I usually keep all my underwear, bras, swimming suits, hats, gloves…etc. It’s very handy as the clothes tend to compress it all so it doesn’t seem to take up much room. Others choose to tuck their underwear and socks into their shoes which is also very convenient but sometimes you don’t have enough shoes to do that or you don’t have a space problem in the first place. Apart from my straighteners, I don’t really put anything specific in here. Normally I just throw in the leftovers which don’t fit anywhere else and also some smaller souvenirs so they don’t get lost within my clothes in the bigger compartment. This is usually where I keep my towel, sometimes it does move down to the bottom compartment if there is room. I also move my cables bag up here once there is no room in the bottom compartment. Sometimes if I have a long journey, I will keep some snacks in here too so they are easy to access. And there we go! 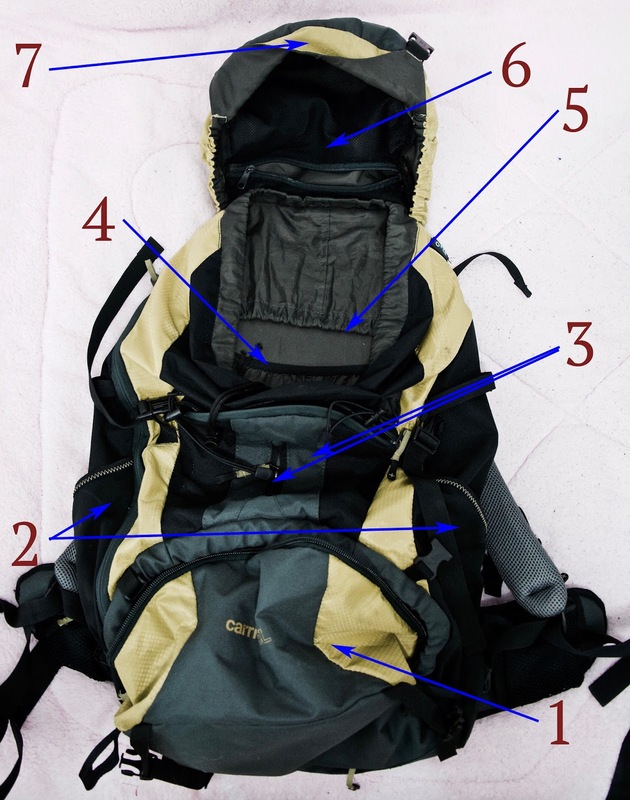 A rough guide to how I pack my travel backpack. 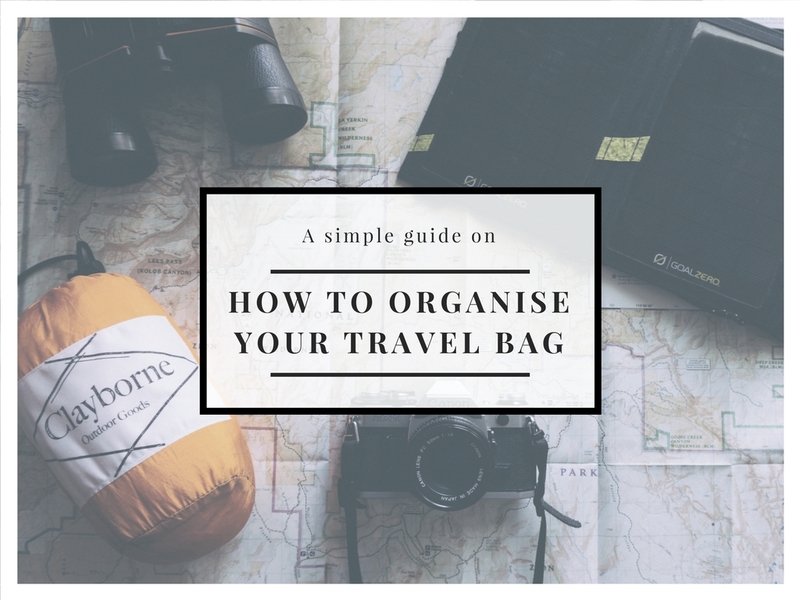 Obviously it may change depending on how long I am going for, what places I’m going to (hot or cold; this guide was aimed for my SE Asia trip so my clothes were light and in small amounts as everywhere was hot) and what I’ll be doing during my trip. Do you have any different/better ways to pack your things? Please share in the comments below, we could all use some tips I’m sure!